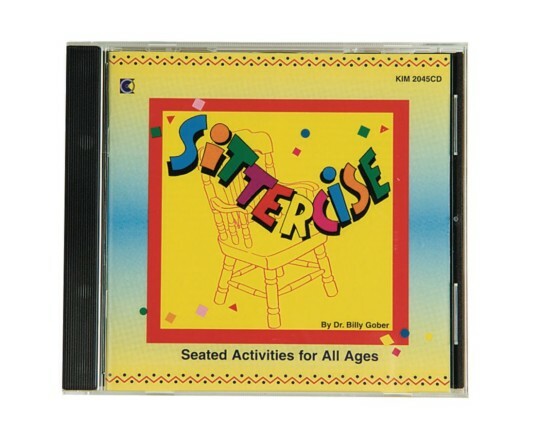 Seated Fun For All Ages. Get great exercise sitting in a chair! Get up and move with these great songs! Includes dances, fingerplays and exercise music. Perfect for all interests and ability levels. Seniors will be amazed at how much exercise they can get just sitting in a chair. A nice change of pace from more traditional exercise programs. Best seller. Includes instructional guide. This product is useless for my program Gentle Exericise for Adults with Special Needs. I am an activity director at a retirement community and teach a small workout class. This CD is way to fast beatwise and many of the movements are unatainable by my group. I do need to improvise alot. It is a bit hard to follow as well. Merchant response: Thank you for your review. We sent your comments to customer service. This customer has been given a credit on this item. I use this for exercise in the nursing home. Has a good range of motion. It includes one area where to do it right requires standing but we adapted it for the residents.